As we conclude the special issue series, we would like to thank the FFI Practitioner editorial committee for their hard work and this week’s authors, Judi Cunningham and Wendy Sage-Hayward for sharing their insights on the impact that an advisor’s unconscious biases can have in their work. Prepare to be surprised when you read this week’s article by Justin Blake of Edelman. It’s a cautionary tale on perception vs reality when it comes to trust and the family business. How has research influenced the field of family business and how can practitioners make better use of it with their clients? 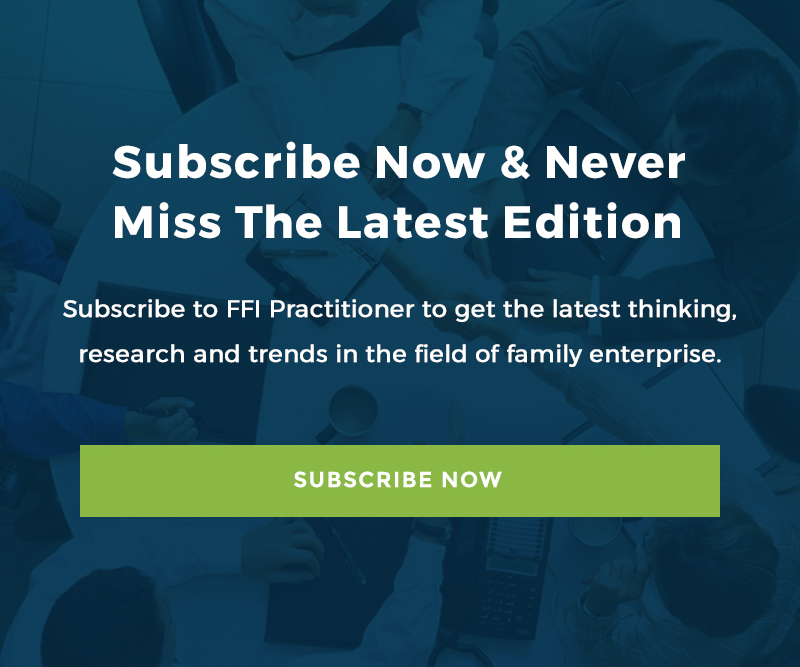 This week’s FFI Practitioner features an interview with FFI Fellow and past president, Craig Aronoff, where he answers these questions and more as the month-long special issue series dedicated to the Global Conference theme continues.